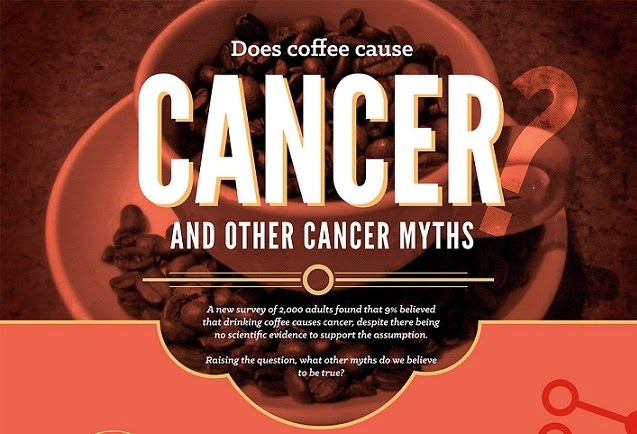 Does Coffee Cause Cancer And Other Cancer Myths [Infographic] ~ Visualistan '+g+"
There are many myths surrounding cancer and its causes. This infographic looks to dispel these myths. A new survey of 2,000 adults found that 9% believed that drinking coffee cancer, despite there being no scientific evidence to support the assumption. Raising the questing, what other myths do we believe to be true?